AMC has unveiled a new Preacher poster alongside its TV premiere date. 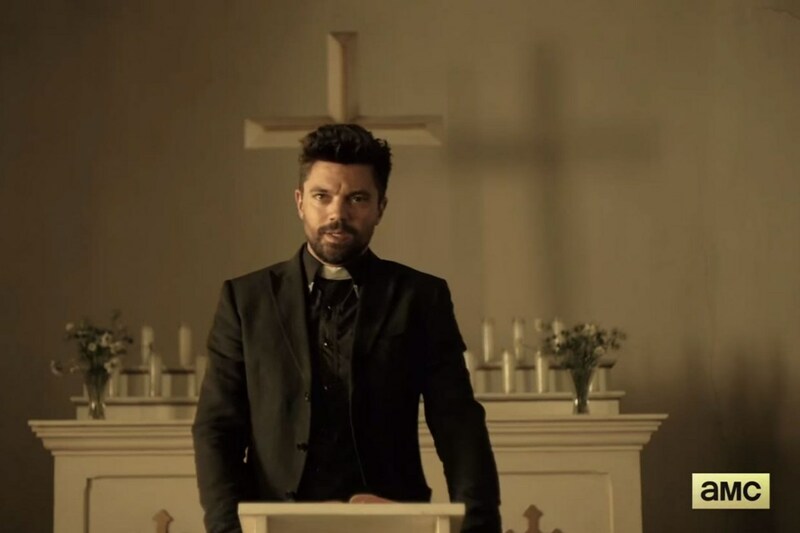 AMC's first Preacher trailer stirred up all kinds of complex feelings in the hearts of comic book fans. What happened to the Saint of Killers? Will the show even depict the supernatural? And where the hell are Cassidy's sunglasses? But series writer Garth Ennis has actually said some good things about the project, and it's hard to deny Preacher looks like a great Western in its adapted format. And now we have a premiere date at which point we can decide for ourselves - May 22, 2016. Preacher was a Vertigo comic series created by Garth Ennis and Steve Dillon which ran from 1995-2000. 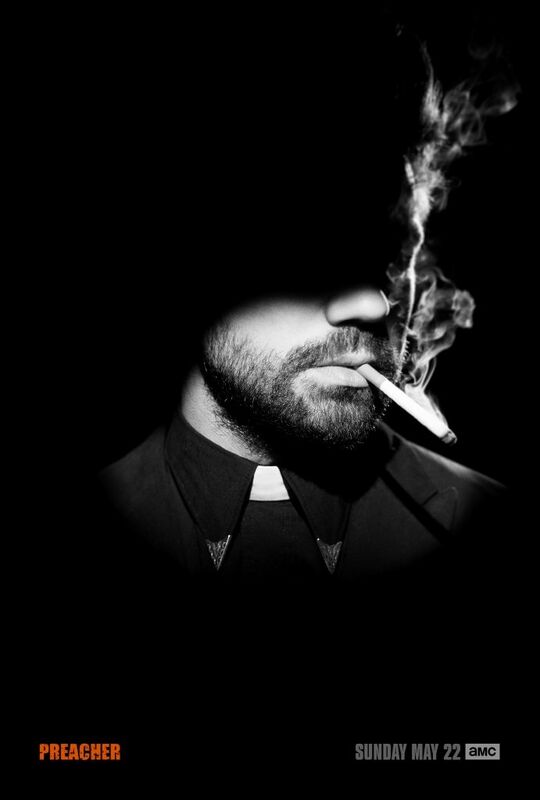 It follows Jesse Custer, a small-town preacher whose soul becomes bound to the offspring of an angel and demon, granting him the ability to control free will with his voice. This sets him on quest to find God himself, followed by his ex-girlfriend now-hitwoman Tulip, and a hard-drinking Irish vampire named Cassidy. 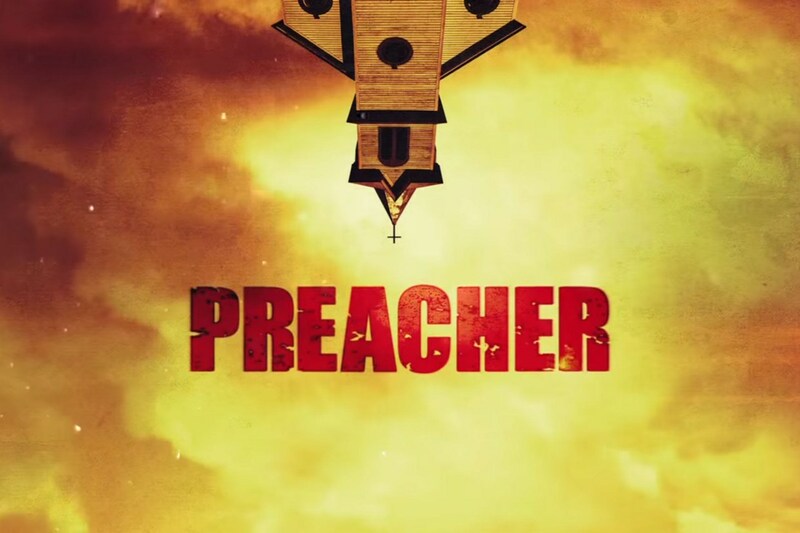 It's been months since the trailer launched, and it's still incredibly hard to tell how faithful of an adaptation Preacher will be. Producer Seth Rogen - yes, that Seth Rogen - has already said changes should be expected. "There's some things that even Garth ... is quick to admit that we probably should not even attempt to put on television," Rogen said in a previous interview. Still, Ennis himself was "pleasantly surprised" by how Preacher is turning out. What's more, the character Arseface is making his way onto the show, and if that cheerfully disfigured mascot ends up on television, the sky's the limit. Here's hoping the final result is worth watching this May.